A special five-day creative immersion in Portland, Oregon. I’m so honored and excited to teach alongside my soul sister and artist extraordinaire, Orly Avineri, once again. We’ve found that the alchemy of our unique perspectives and practices creates something quite special and powerful, and we’re so happy to share it with you. 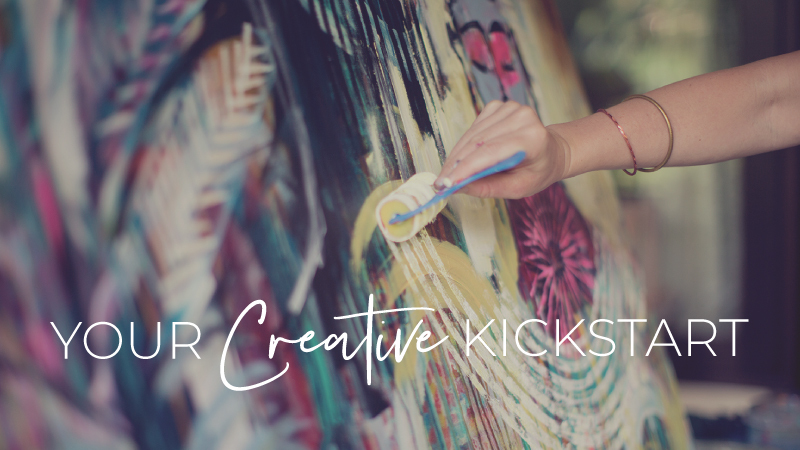 Over the course of five days, Orly and I will share a diverse array of intuitive, mixed-media art processes as we consider themes of contentment, change, personal freedom, and connection. Drawing on the wisdom centers of our body, mind, and spirit, we will explore ways to express our ever-changing moods and experiences, while examining notions of truth and fluidity. Be ready to explore new materials, let go of pre-conceived ideas of “beauty,” move your body, and open yourself up to a whole new way of soulful creating. This retreat will be held in my beautiful, brand new, backyard studio, and I’d love to have you join us. All experience levels are welcome. All you need is an open heart and mind. We will provide a healthy and delicious catered Welcome Lunch on Wednesday, a Pizza Party on Friday evening, a Farewell Lunch on Sunday, and an abundance of healthy, gourmet, seasonal platters and handcrafted tea and fair trade coffee available throughout the weekend. All other meals will be on your own. Each participant will be invited to a private Facebook group to foster connections among the group. Accommodations and transportation are not included in the price of the retreat. However, local hotel and AirBnB options will be provided upon reservation. Sharing rooms and rides will be facilitated through the Facebook group. No experience is required to attend. There are no refunds for this event, unless we are able to find another participant to take your place, in which case you will be refunded the amount you paid, minus a $100 cancellation fee. Once you are enrolled in the retreat, you will receive an email within 48 hours with details regarding the schedule, supplies, accommodation recommendations and location. Please feel free to email any questions to teamlove@florabowley.com. One large size cereal/food box. LOTS of personal images: copies of photos, actual photographs, scraps of papers you love, images from old books, old letters, vintage ephemera, etc. Please wear loose, comfortable clothing. We’ll be moving our bodies and getting messy! Flora Bowley’s backyard Portland, OR studio. Exact address will be sent upon registration. Retreats are offered several times a year, and tend to fill up quickly. I always announce retreats as soon as they are open on my email list News Art Love. If you’d like to be the first to know about upcoming retreats, please join below!